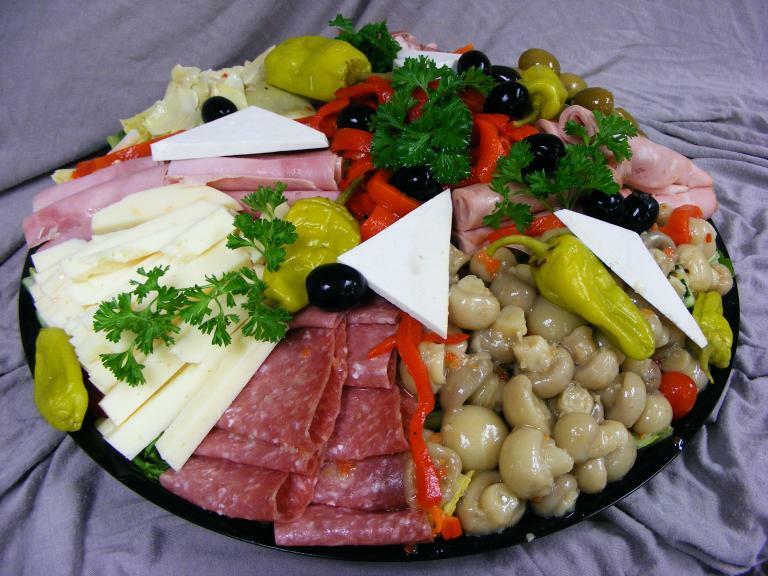 Salami, Mortadella, Sweet Capicola, Imported Ham & Provolone Cheese arranged on a bed of crisp lettuce with Italian Olives, Artichoke Hearts, Roast Peppers, Tomatoes and Cucumbers. 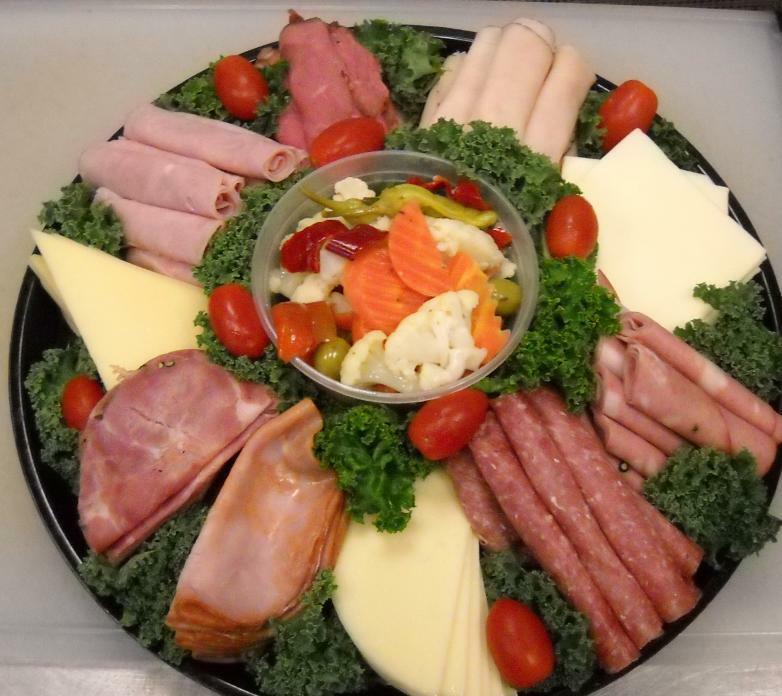 Assorted Cheeses cut up & garnished with Fresh Seasonal Fruit. 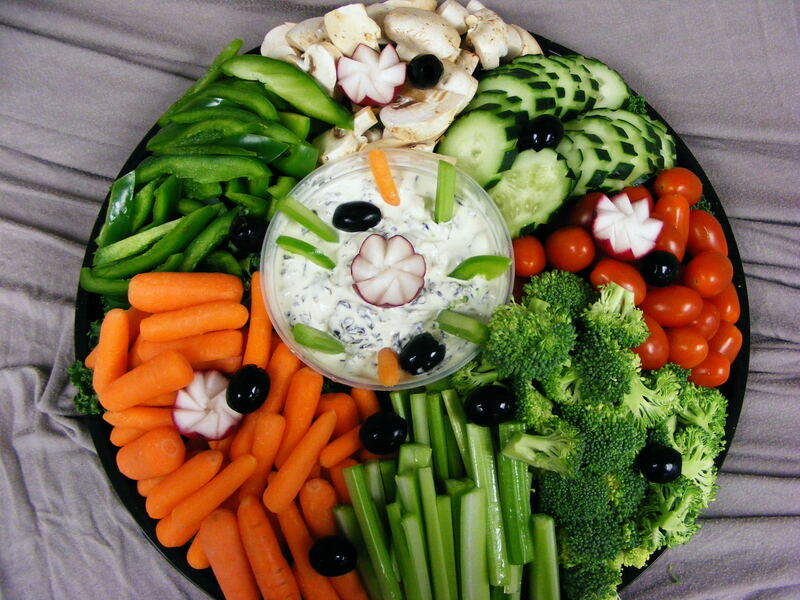 Assorted Fresh Vegetables arranged with Spinach Dip. Home Made Red Bliss Potato Salad …..$5.25 lb. 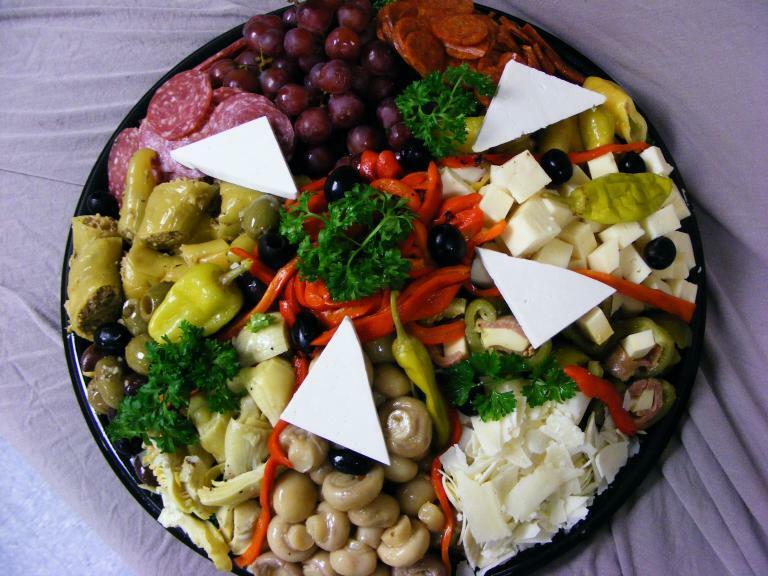 Home Made Tri-Colored Tortellini Salad …..$7.50 lb. 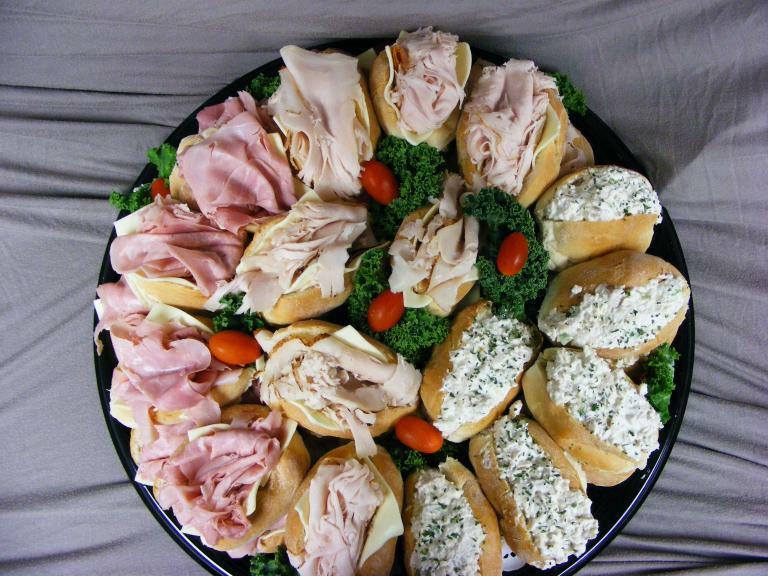 Home Made Chicken Salad (all white meat) …..$7.99 lb. Italian Cole Slaw …..$3.99 lb. Please allow 48 hours notice on all prepared foods. 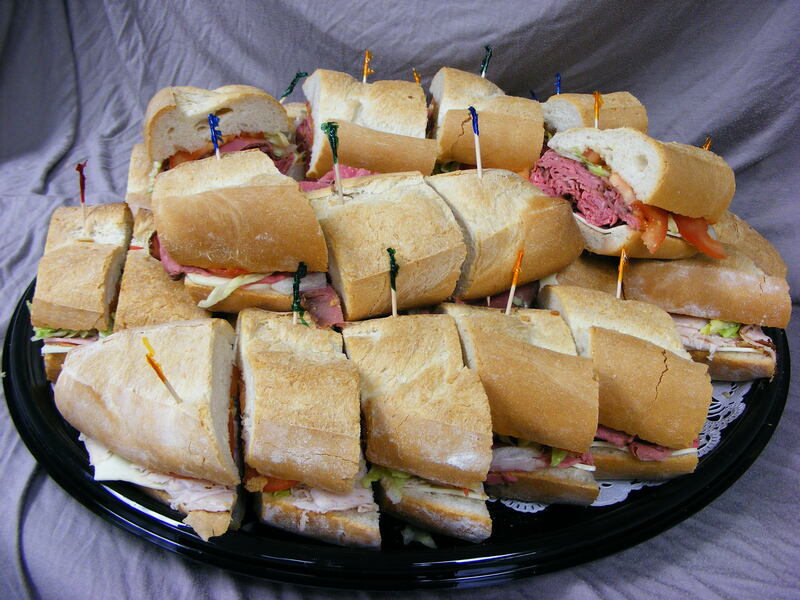 All trays served cooked & cold unless stated otherwise. Please add 75¢ per person if paper products are required. Please be advised we have a 24 hour cancellation policy.